Electric vehicles have been becoming more popular because they are cheaper to drive and help reduce damage to the environment. The cost of charging an electric car is much less than the cost of filling up the tank, and the cost of a new hybrid or electric car has dropped considerably over the past ten years. Moreover, these cars are much quieter, which reduces noise pollution and makes communities more peaceful. Although it seems technology has made electric cars both affordable and efficient, all of them have been facing battery obstacles since we don’t just want to go green but also drive far. However, the industry of making electric vehicles will be completely changed thanks to the new research of the Queensland University of Technology, Brisbane, Australia. Researchers have developed lightweight “super-capacitors” that can be combined with regular batteries to dramatically boost the power of an electric car. The supercapacitor is described as a sandwich of electrotype between two all-carbon electrodes – which are made into a thin and extremely strong film with a high-power density. This breakthrough discovery enables an electric car’s battery to be turbocharged in just a few minutes by its own body panels, roof, doors, hood/bonnet and floor. The discovery was invented by Postdoctoral Research Fellow Dr Jinzhang Liu, Professor Nunzio Motta and PhD researcher Marco Notarinanni, who come from QUT’s Science and Engineering Faculty – Institute for Future Environments, and PhD researcher Francesca Mirri and Professor Matteo Pasquali, who come from Rice University, Houston, United States. 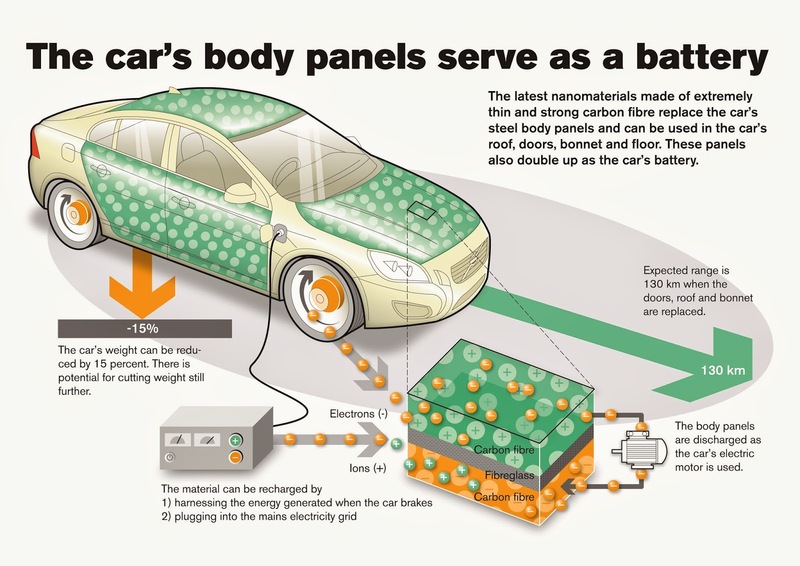 “Vehicles need an extra energy spurt for acceleration, and this is where super-capacitors come in. They hold a limited amount of charge, but they are able to deliver it very quickly, making them the perfect complement to mass-storage batteries. 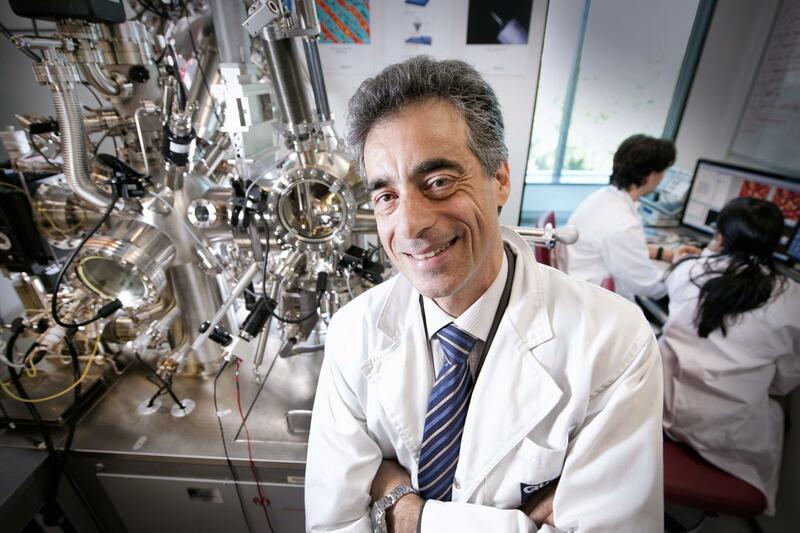 Supercapacitors offer a high power output in a short time, meaning a faster acceleration rate of the car and a charging time of just a few minutes, compared to several hours for a standard electric car battery,” said Mr. Notarianni. Presently, supercapacitors are combined with standard Li-on batteries to power electric cars, with a substantial weight reduction, which in turn, increases its performance. In the future, the supercapacitor will possibly be developed to store more energy than a Li-on battery while retaining the ability to release its energy up to 10 times faster – meaning the car could be entirely powered by the supercapacitors in its body panels. “After fully charged, the car should be able to run up to 311 miles – similar to a petrol-powered car and more than double the current limit of electric cars that cost less than $40,000,” said Dr Liu. The supercapacitors are made from cheap carbon materials. This technique doesn’t rely on metals and other toxic materials either, so it’s environmentally friendly when it eventually needs to be disposed of. “There’s a way to do it better–find it.” –Thomas Edison.